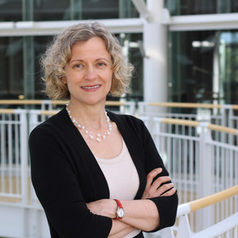 T. Bettina Cornwell is the Edwin E. and June Woldt Cone Professor of Marketing in the Lundquist College of Business at the University of Oregon. Prior to joining the University of Oregon, she was Professor of Marketing and Sport Management at the University of Michigan. Her research focuses on marketing communications and consumer behavior and often includes international and public policy emphases. Bettina's research on corporate sponsorship of sports, arts and charity has recently appeared in the Journal of Advertising, Journal of Advertising Research, Journal of Consumer Research, Journal of Experimental Psychology: Applied, Journal of the Academy of Marketing Science, and Psychology & Marketing. She was the recipient of the 2009 American Marketing Association Sports Marketing and Special Events Special Interest Group's award for Distinguished Contributions to the Scientific Understanding of Sports Business.